I am in Paris tomorrow, and one of the highlights will be catching up with Jean-Claude Colban of shirtmakers Charvet. A scholar and a gentleman, Jean-Claude is both one of the most knowledgeable people you will ever meet in the industry, and one of the most self-effacing. At least it seems that way. Jean-Claude speaks so softly, with such modesty of tone, that it’s easy to miss the occasional phrase such as ‘but of course, we make the finest shirts in the world’. They slip in, almost unnoticed, and you find yourself nodding in agreement even if, as with me, you don’t necessarily. Jean-Claude has been my source of truth for matters relating to shirting cloth for several years now, and as such you will often find him quoted in The Rake, the Financial Times or How to Spend It. He will set us right on denim and chambray (the former, essentially a matter of indigo dye, but culturally a twill weave and certain weight and finish – the latter, merely a contrast in blue and white threads) as well as silks, cottons and cottons that feel like silks. There are few places in the world I am so fond of, where the aesthetic is not actually, largely, to my taste. The ties are often too bright or have too much sheen; the velvet jackets and dressing gowns equally. There will always be something – travel slippers, or handkerchiefs – which will catch my eye, but really I go for the erudite, the eloquent Mr Colban. You can follow the discussion on Jean-Claude Colban of Charvet, Paris by entering your email address in the box below. You will then receive an email every time a new comment is added. These will also contain a link to a page where you can stop the alerts, and remove all of your related data from the site. 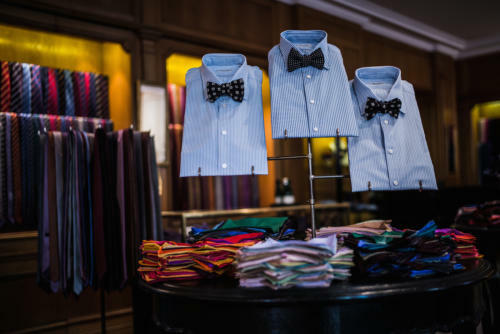 It’s a lovely shop but I agree about the ties. It is also a shop where the following you round (upstairs) by sales staff about one foot behind you normally gets me rapidly to a point where I cannot stand it and walk out empty handed. Just curious Simon, in your opinion, who is the finest shirtmaker? You mention altering the waist on a shirt. However , is it ever worth altering arm length or width (to overcome bagginess in arm)? Or would that be a step too far ? You can shorten a sleeve, but only lengthen it very slightly. You can take out bagginess too but all these things are more work as the shirt has to be taken apart – putting darts in the waist is easy. Even I can do it! It is amazing how the level of taste differs between bow ties, pocket squares and cufflinks (which are generally classic and subtle) and ties (gaudy at best)! Sounds like faint praise indeed, Simon! 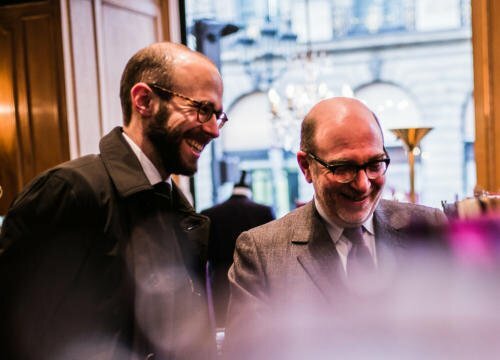 Charvet has a very good reputation for their bespoke shirts. If I was French, I would probably go there for my shirts. Great post Simon! Charvet is one of my favourite shops anywhere. Jean-Claude and his staff are extremely polite and welcoming. 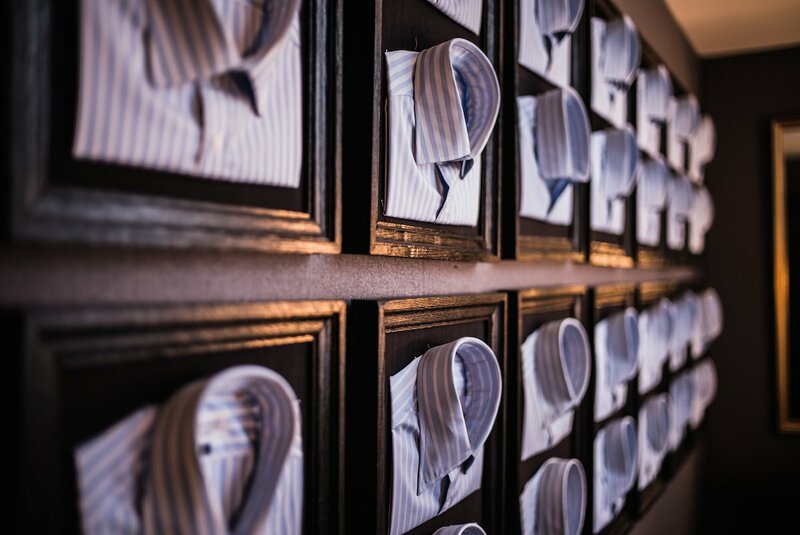 The choice and quality of fabrics is second to none and they make fabulous shirts which (in my opinion) are slightly less structured, less formal and ‘softer’ than their Jermyn Street equivalents. 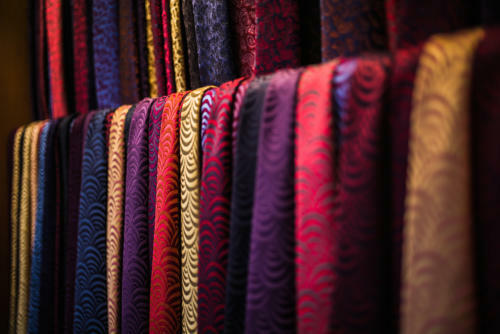 They also offer beautiful pocket squares and a very wide selections of colours in their high quality knitted silk ties. I broadly agree with you about the ties, but when you consider the huge number of International customers that I see buying armfulls of the ties every time I visit I understand why they continue to produce them! 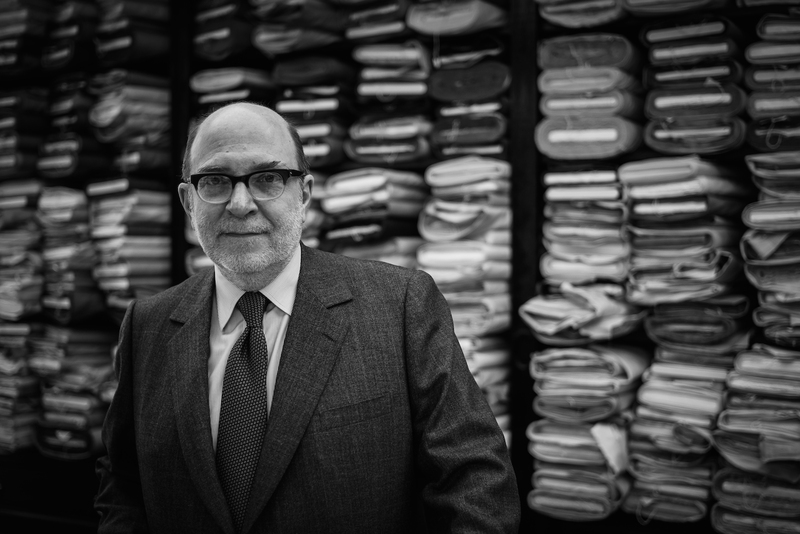 I am sure that you agree that whatever they make, Charvet seem to have a laudable dedication to producing items of the highest possible quality. where would you go for a softer, less formal (but still appropriate for a suit) shirt for RTW? Any good italian RTW makers? I’ve had a few good ‘made to measure’ from Zegna and a couple from Dunhill that have a softer, more continental look to them. Sadly my bespoke shirt adventures have all been disasters. I have worn knitted silk ties since the ’60s and I have to say Chavet make absolutely the best – without exception. As for the rest, I agree albeit they have blue shades of shirting material that are difficult to find elsewhere. Thanks David. Interestingly, knitted silk ties are only made by a handful of places, so I’d be surprised if others weren’t carrying the same make. Whoever makes them, one things for sure – they all aren’t born equal. For instance, when I compare Drake’s with Charvet there is no comparison in terms of texture and how they knot. With the exception of a couple I bought from Dunhill a few years ago I’ve never found anything that came close. Maybe it’s the specification that Charvet give the factory? It’s mostly the individual makers. There are only a handful, as I say, and slightly different. New & Lingwood ones, for example, are softer too. 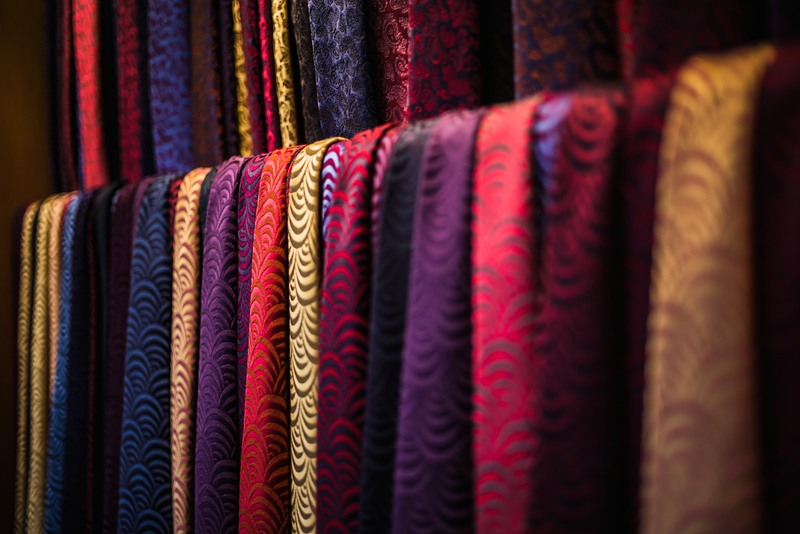 In general, there are a few differences in ties, with three being the most important: the silk, the lining, and the shape. Drake’s doesn’t tend to do the heavy, shinier woven silks that Charvet specialises in. Charvet also tends to have a thicker ‘bottleneck’, where the tie narrows in the middle, which means it tends to tie a longer knot. The linings, however, are similar. And there is no difference in the make.